Due to their central location between the Indian and Pacific Oceans, maritime Southeast Asian countries have increasingly important roles in the Free and Open Indo-Pacific (FOIP) Initiative. The U.S. ban on exporting high-tech electronic equipment to Russia will not impact related Russian industries critically as Moscow is boosting its domestic industry and will also tap Southeast Asia, Russian Industry and Trade Minister Denis Manturov said Tuesday. The dam collapse and floods in southern Laos in late July shows that disaster response in Southeast Asia comprises different types of cooperation. In re-examining the legacy of former president Suharto in Indonesia’s foreign relations, the proverb ‘old soldiers never die they just fade away’ seems appropriate. 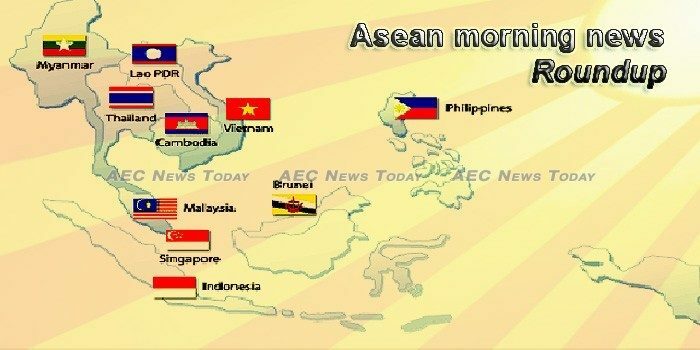 Recognizing fake news as a global challenge, media representatives of ASEAN countries have agreed that the fight against falsehoods and disinformation must be a joint effort of all stake-holders in their societies. Car production in the country plummeted by more than 44 percent in the first semester this year as sales declined by a significant 12.5 percent, making the Philippines the sore thumb among the bigger motor vehicle producer countries in ASEAN. Governments and business leaders have for years been well aware of the importance and potential of Fintech, but when it comes to the ASEAN region, the sub-category of payments demands particular attention. THE fine performances of Malaysia, Indonesia and Vietnam in the Asian Games augur well for Southeast Asian football. Department of Foreign Affairs (DFA) Secretary Alan Peter Cayetano said there is a need to strengthen the Association of Southeast Asian Nations (Asean) Coordinating Center for Humanitarian Assistance on Disaster Management (AHA Center) as the region is usually affected by natural calamities. Another earthquake rocked Lombok, West Nusa Tenggara on Wednesday, August 22, at 21:50 local time. Bank Indonesia has lowered the minimum limit on foreign exchange swap hedging from banks to the central bank to $2 million from $10 million, to attract more customers. Nine pressing issues were tabled at the government’s monthly meeting yesterday, highlighting the government’s recovery response and relief efforts in flooded areas around the country. Mekong Enterprise Fund II, a unit of Mekong Capital, has completely divested from Asia Chemicals Corporation (ACC) and taken in US$8.9 million, a 2.6-fold increase over its initial investment, after a seven-year holding period. Malaysia will shelve three China-backed projects worth a total of US$22 billion until the debt-laden Southeast Asian nation can afford to pay for them, Prime Minister Mahathir Mohamad said Tuesday during a visit to Beijing. The cancellation of the East Coast Rail Link (ECRL) project was a necessary move as Malaysia “cannot afford it” at the moment, said independent macro analyst Prof Dr Hoo Ke Ping. Tea traders expects slight increase in cost as the incoming Sales and Services Tax would be imposed on print and packaging materials. The first Krispy Kreme shop will open at the first floor of Times Link Mall in Yangon in September, according to Krispy Kreme Myanmar. Rakhine State Legislative Assembly legislator from Mrauk-U constituency Tun Thar Sein confirmed news that a complaint against two ministers from the Rakhine State government for corruption had been registered. Myanmar leader Aung San Suu Kyi has defended her government’s actions in Rakhine state which have forced more than 700,000 Muslim-majority Rohingya to flee their homes and seek refuge in neighbouring Bangladesh. Philippines national flag carrier Philippine Airlines (PAL) has added two new aircraft, the first of six Airbus A350-900s and 21 Airbus A321neos, to its fleet to boost passenger capacity and further its aim of becoming a five-star world-class airline by 2020. The Duterte administration’s comprehensive tax reform program is expected to generate P268.3 billion in additional revenue yearly to finance massive infrastructure projects in the pipeline. THE Philippines should consider tapping India’s $1-billion loan allocation for Southeast Asian countries aiming to put up big-ticket public infrastructure, Indian Ambassador to the Philippines Jaideep Mazumdar said on Wednesday. Mr Nuseir Yassin, 26, the man behind the popular channel Nas Daily, has pledged to rack up 1,000 days on the road – telling the stories of people in various places, including Singapore. Spillover from Kaeng Krachan dam has arrived at the tourist town of Phetchaburi town, flooding residences and roads in the municipal areas. Thailand’s exports in July grew 8.27% to 20 billion US dollars in the 17th straight month of expansion, indicating that the country overall has not yet been affected by the US-China trade war. Thailand enjoyed their most successful day so far at the Asian Games in Indonesia Wednesday with two expected gold medals in sepak takraw and a surprise victory in paragliding. Vietnam Wednesday jailed two American citizens and 10 others from an outlawed US-based “terrorist” group for attempting to overthrow the state after they spread anti-government leaflets and tried to incite protests last year. Viet Nam gained a trade surplus of US$2.92 billion to August 15, according to the latest statistics from the General Department of Customs.